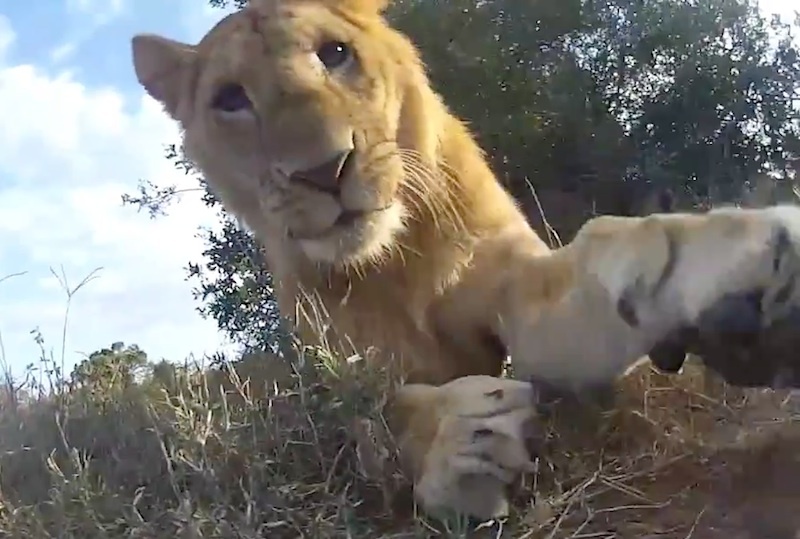 As an article on Mashable writes, experienced nature photographer Chris Bray put a GoPro on a cheap RC car on a safari for a new type of adevnture, of course only after his guests had finished taking their photos of the animals. The strange vehicle soon attracted the interest of the lions, but rather than attacking it they merely pawed at it, curiously, with claws in. The idea and the resulting video reminds me of the remote controlled BeetleCam I wrote about earlier on the blog. The Burrard-Lucas brothers had the same thing in mind when they invented the BeetleCam, and that it should have a chance of withstanding attack by animals. One of their versions also included a mounted GoPro which made it possible to record the same type of footage. Watch the new GoPro toy car video below and also check out what the BeetleCam offers – although for quite a lot more money.